As chronicled here not long ago, I was the world’s oldest living altar boy back in the ’60s, thanks to a deal my Mom (aka Jackie’s Agnes) cut with Bishop Furlong at the Church of St. Thomas More in Manhattan. In return for an “altar boy scholarship” to Fordham Prep, I became an indentured servant to my parish church. By the time I was 17, the cassock (long black thing) was way too short for me, and the surplice (short white thing) looked like something Britney Spears would wear on tour. At the time, my grammar school was St. Ignatius Loyola (on 84th), but my parish was St. Thomas More (on 89th). The latter was much cozier than the former. Sadly, the former is about to swallow the latter. 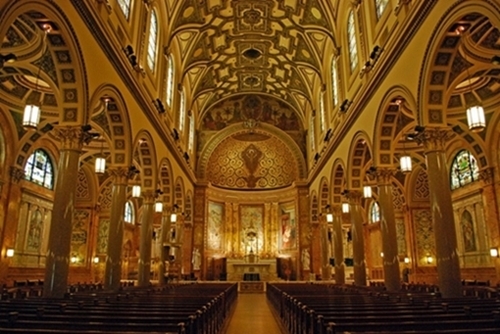 Church officials said in November that 112 of the archdiocese’s 368 parishes would be consolidated to create 55 new parishes, the largest realignment of the parish structure in the history of the archdiocese, which stretches from Staten Island to the Catskills. 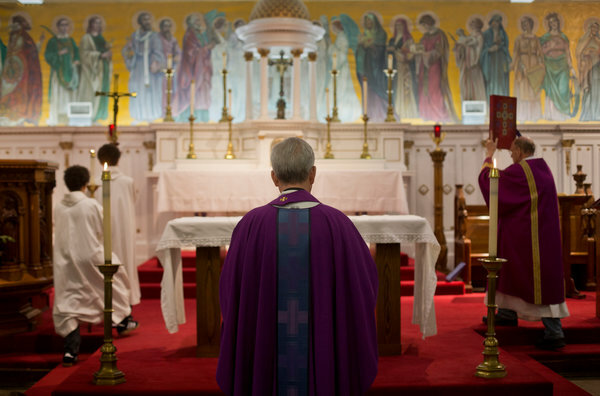 In 31 of those new parishes, one or more of the original churches would no longer be used for regular services, effectively shuttering those churches by August. The parish has one of the highest per capita donor profiles in the entire archdiocese, Christopher E. Baldwin, a trustee, said. 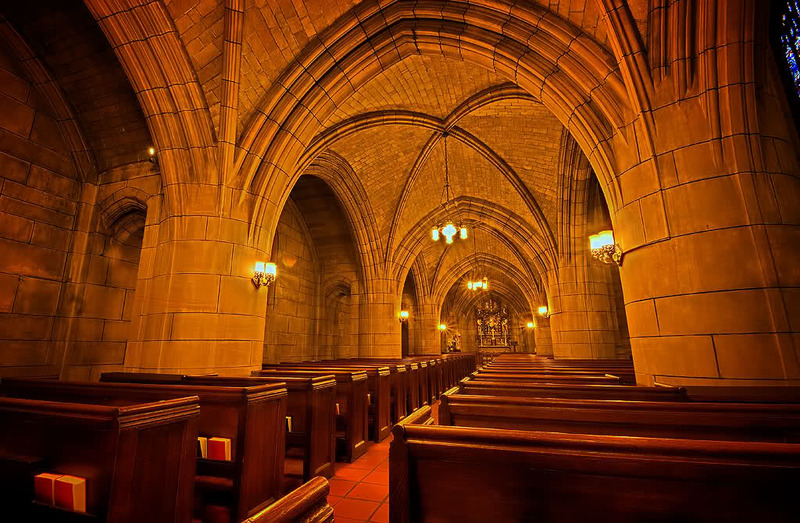 It recently finished an $800,000 round of improvements to the church’s buildings. Its community space hosts a highly regarded nursery school and accommodates some 400 community meetings per year. Good Lord! That’s absurd even by Cathaholic standards. And a shame. When I was young, St. Thomas More seemed to be where worship happened. St. Ignatius was for ceremony. It’s clear where the Archdiocese’s loyalties lie. We’ll give the last word to Mr. Baldwin, the trustee at St. Thomas More. This entry was posted in Uncategorized and tagged Bishop Furlong, Cathaholic, Christopher E. Baldwin, Fordham Prep, Jackie's Agnes, New York Times, Rev. Kevin Madigan, Roman Catholic Archdiocese of New York, St. Catherine Siena, St. Francis Xavier Cabrini, St. Ignatius Loyola, St. John Nepomucene, St. John the Martyr, St. Thomas More, St. Vincent Ferrer. Bookmark the permalink. Great. They’ll probably turn Thomas More into high-rise apartments, like they did with the Ruppert Brewery. I totally loved the Ruppert Brewery (Best. Stickball. Place. Ever. ), even if we were downwind of it. Or maybe because. Anyway, the pope thing never would have worked out – I hate those big hats.